This young man was in my small group. He is from Hong Kong, and came to Triennium with the help of the Cumberland Presbyterians. 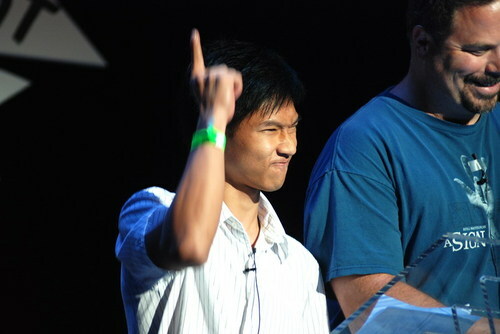 Here he has just read something in worship, in Chinese, and he is reacting to the youth applauding for him.